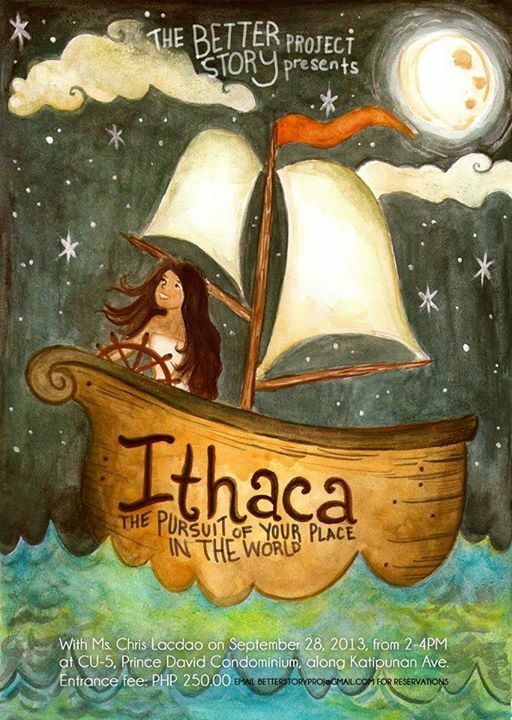 Ithaca represents a journey as much as a destination. We are all looking for our place in the world. We are all looking for a place to belong. We are all looking for Ithaca. If you would like to join, email betterstoryproject@gmail.com for slot reservation. Venue: CU-5, Prince David Condominium, along Katipunan Ave.
filled with adventure, filled with discovery."